Help your brand to stand out by creating an interactive “center stage” experience… inside or outside the show hall. That could be with outside events like a concert like festival that has enough draw to bring people to see this alone. You may sponsor an amazing concert experience or celebrity photo opportunity for your best VIP’s. It could also be as simple as an interactive game or a photo booth with props, or it could be as elaborate as a live presentation or entertainer like a magician or corporate comedian. These elements provide immersive experiences, with fun distractions for your attendees and photo ops that promote your brand and give you free exposure to a wider audience. Remember, however, that they need to communicate your company’s value in an organic and intuitive way. Speaking of social media, utilize it as much as you have time for. If you are not utilizing every bit of social media exposure you can, you are missing out. Social media pushes your message far beyond where you can alone. Make sure your booth is attractive to the industry’s social media luminaries who tweet and Snapchat and IG from the show’s leading expos. If you don’t know who the people of influence are in your industry, get on their radar by using software like Followerwonk and Buzzsumo. Don’t hide your light under a bushel basket. Use social to shine far and wide. It’s worth your maximum effort to go “all in” this area. Market inside and outside of the exhibit hall. While your awesome booth should be center stage at the trade show, remember to spend some off-cite quality time with valued customers and prospects. Showcase your brand by sponsoring private mixers, hosting social events, and offering private perks to VIP attendees. People will remember these big moves and they will remember your brand because of it. Maybe your company has been a long-standing fixture in the industry. Maybe you’re a solid standard at every show. If so, use that reputation! 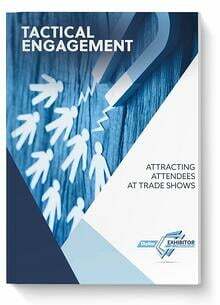 Consider a breakout exhibit of your latest offerings a new or different trade show. 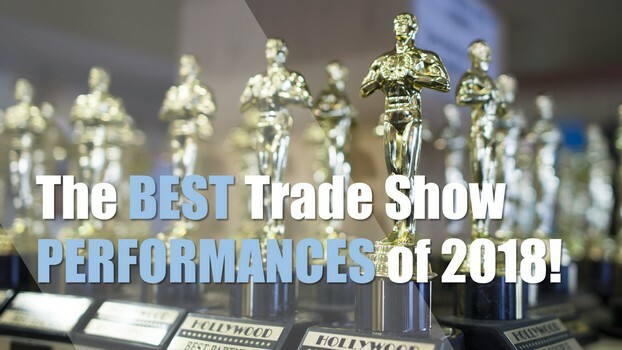 One of the most frequently, consistently listed reasons for attending a trade show is “to see what is new.” Many companies use the trade shows as filters to find the newest, most promising, high quality products emerging from the industry. Get rid of stuff. Declutter your wall-to-wall graphics, your piles of product literature, your massive pile of free pens. Just start throwing away anything that is non-essential. It will free up space in the booth and you won’t have to haul it to the show. See how little you can get by with in the actual booth. Of course, you don’t want your booth to look like an empty trailer that no one bothered to look after, so you need to be intentional about how you DO design your booth. Choose the best graphics you have and make sure they are clean and sharp. Leave plenty of negative space in your signage so the reader can easily hone in on what are the most crucial pieces of information. White space is your friend. Gone are the days when graphics were crammed full of facts and information that no one could possibly read at a passing glance. Be Puritanically selective in your choice of furnishings. Even if you have plenty of booth space, and especially if you don’t, abide by the “rule of thirds”: limit your booth to staging three areas. For example, you might have an information table, a product table, and a sales area. Even within these three areas, choose sleekly designed furniture that isn’t busy or loud. And most importantly, keep the areas clean and uncluttered. As you make decisions about the design of the booth’s graphics and furnishings, consider using lighter colors on them. Light colors open up a booth space, making it appear larger and more welcoming. You’ll want to use colors from your brand to accentuate your brand presence, but the overall effect should look clean, sharp, and simple. Next to the hard materials in the booth, lighting is a very close second. For a minimalist look, lighting should be simple. It should also be one tone – try not to combine both warm and cool lights. To create the sleek lines that minimalists love, go for contrast: position brighter lights above product displays, for example, to make them stand out as a feature in your booth. Even your booth staff can reflect your minimalist approach. No, I’m not talking about putting everyone on a diet! But they can make themselves completely accessible when they are needed while not crowding the customers otherwise. Some customers like to explore products and services on their own without being followed and questioned by a sales rep. There’s a balance here, of course, because you do want your booth staff to be open and welcoming. Even farther into the philosophy of “less,” some companies even have all the booth staff wear simple suits with a pop of their brand color on a tie or scarf. This level of dedication is nice because it sends a message of solidarity with the company – think Apple Store workers. Design infographics, Twitter cards, Pinterest Pins, social display ads or other visuals for your campaign. Create event pages for free on Facebook, LinkedIn, and Eventbrite. Add all events to your email signature. If you have a YouTube channel, create a highlight reel from last year’s event and blast it. You can probably use the same reel to post on FB and Insta to serve as a teaser for the next event. Create a hashtag for your company and use it consistently, along with the show’s official hashtag. Be sure to follow the show’s hashtag a few weeks in advance of the show to stay abreast of what’s trending. POST! POST! POST! Every day or at least several times a week on your platforms. Participate in LinkedIn discussion groups relevant to your event. At the show, use Facebook live to highlight the best, most exciting moments as they are occurring. POST! POST! POST! Before, during, and after the show, be posting the activity. Make sure you post pictures with lots of people. No single selfies that make you look like a Lonely Leonard. Post groups of happy people having fun. This sends a great message about your brand! Tag people in your posts. Tag the people who are IN your posts and pictures, obviously, but also tag people who you want to be sure SEE your posts. When speaking of your brand we want to make sure your story comes to life, and when done correctly we call it immersive marketing. Immersive marketing takes a run of the mill event and transforms into a memorable experience and creates an environment where engaging with your brand feels very normal. Successful immersive marketing provides increased brand engagement through an in depth and unique experience. Some of the most impactful immersive marketing experiences do a great job creating stories which surround and engage you through the use of technology (and even sometimes without technology). Immersive marketing costs have come down dramatically and are now more mainstream than ever before. The technology become less of a gimmick and is now integrating into a higher profile role in the marketing mix. One of our clients, Mueller Water Products, recently utilized 3 different technologies to create a memorable experience with attendees on the show floor a beyond. We created a virtual reality, augmented reality and a water curtain to help attract, engage and create an unforgettable experience. Attendees had the opportunity to explore underground equipment that they could never before experience on the show floor. Each attendee also was able to see the interior working of a fire hydrant and see the water feeds from deep inside the earth. Combine both of these with a 16’ wide x 14’ tall water curtain that created customized messages in falling water drops, made the most buzz worthy experience an attendee can hope to find at the AWWA show. Effective use is the key, and when utilized correctly, immersive technology can be an amazing marketing tool for marketers across industries. This is particularly true with companies that make large or heavy products that are not easily transported or seen. Several of our clients like American Airlines, Sea Ray Boats and Mueller Water Products are all ideal candidates because of the size of what they produce. Not that long ago, these technologies were largely inaccessibility, rudimentary nature, and high cost that discouraged event marketers from incorporating immersive marketing into their events while modern challenges like education and bias toward the familiar continue to cause hesitation. Top trends are in the areas of Projection Mapping, Virtual Reality, Augmented Reality, and plethora of “non-tech” solutions as well. How many t-shirts, mugs, water bottles, chargers, umbrellas, and much, much more have you received at trade shows? Do you still have them? Did they change your view of the company and endear you to the brand? Although custom S.W.A.G. (Stuff We All Get) has been a marketing ploy for decades, most of it ends up tossed, lost, or forgotten. It’s not really doing its job, is it? This past year, more and more companies ditched the trinkets for more memorable, experiential swag. Most millennials spend their money on experiences, so we know they value them. This is a strong indicator that you can attract those customers by offering them some sort of unique experience. So how do you create an experience in your booth? Read on! While it might seem counter-intuitive that a one-time event can be more lasting than a physical object that you see every day (like a coffee mug), psychological studies prove otherwise. We are all overwhelmed with physical possessions, while experiences live on in our memories long after they are finished. The emotions we experience during the event and that we attach to the memory actually shape and color our perceptions about the people with whom we share the experience. For this reason, exhibitors are ditching the water bottles for in-booth experiences – photo booths with props, contests, live presenters. After hours, they are providing mixers, local tours, and other “quality time” experiences. Most people love games and most people are competitive to some degree. In the marketing world, this is exponentially true. There is not a person in the event hall who doesn’t love a little friendly competition. An in-booth game is a winner on both counts. Whether it is a quick iPad game where they get to select the top superpowers your company has or something more analog like a remote-control car race, having fun will ensure your company is memorable not only to the participants but also to observers. If you can make it educational and brand-related, that is even better! Virtual swag is probably the easiest, friendliest, and most popular of all swag. The custom social media filter is a hit with everyone in every industry. From animated selfie masks to digital photo filters, lenses and frames, you can develop your own tools to help attendees customize their social media photos. It’s almost 2019, folks, and every social media platform offers ways to blend your company’s logo with user-generated content. 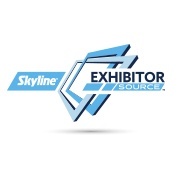 While there is no “Best Picture” award in the world of trade show marketing, Skyline Exhibitor Source is blessed bring these insights to make your next trade show experience a true contender. We hope your 2018 was a success, and look forward to sharing more helpful insights in 2019!